Since 1993 founder and key members of M.C. Int'l have specialized in the handling, storage, preparation, distribution, import and export of different types of cargo. In 2007, M.C. Int'l was incorporated in Miami, Florida to provide an A+ service with many years of experience. Our location in Miami, Florida which is considered geographically a gate to Caribbean and Latin America market as well as those of Asia and Europe by of the Panama Canal has made us a strategic partner of our customers. Over the years we have established a steady relationship with several retailers in the U.S., which they consider our facility as one of the top in south Florida. Our experienced, knowledgeable and hardworking staff understands the importance of every customer’s needs handling their requests accordingly and in a timely manner. Their dedication has contributed to our customers grow as well to ours during these years. We are constantly improving our services and adapt to continuous changes and requirements within the industry to maintain our customer’s satisfaction and our level of service. Continue improving our services and develop strategies which will make us unique by providing better, faster and more efficient ways to serve our customers needs within the industry and be their ideal partner. Provide our customers a remarkable service for all their cargo needs in a cost-effective way so they can focus on the marketing and sales of their products while we take care of their valuable cargo. When our customers grow, we grow with them. We will relieve your company of the burden to maintain a warehouse or to split your in-house operations in more than one during peak seasons or uneven demand. Our years of experience within the industry will save your company time and the extra cost involved in hiring and training staff for your logistics needs. We will provide you piece of mind by efficiently handling your day-to-day logistics operation so you can focus on the key areas to keep growing your business. In addition to our warehousing services, we provide our customers with a value-added service such as price tag replacement, folding, poly bag insertion, repack, quality control, among others. Palletized or floor loaded cargo, vehicles, drums, super sacks, household goods and personal belongings, among others. We will arrange with our dedicated carrier the move of your cargo from / to Port of Miami and Port Everglades and the rail ramp (FEC) to our facility. The benefits of using our dedicated carrier are…No waiting time fees! No appointment required! 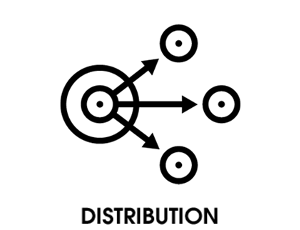 Stripping or unstuffing a container based on customers specific requests, such as but not limited to, palletized for transloading or cross docking, segregated by SKU’s, part or purchase order number. Palletized or floor loaded cargo. We can also provide a reasonable free storage time in order for our customers to find the best fitted carrier to complete the delivery to its final destination. Receive, store, order processing, and ship plus Value-added Services (VAS) available such as kitting, shipping labels, quality control, among others. We handle your valuable cargo based on your specific request and in compliance with your customer requirements. Shopping cart integration, fulfillment, pick and pack, return order processing, standard or customized packaging options available. EDI integration and our Warehouse Management System (WMS) provide our customers visibility into-real time data. It’s not an option, is a requirement. Domestic and foreign facilities that manufacture, process, pack, or hold food, for human or animal consumption in the U.S. must register with FDA. During retailer’s peak season or in a regular basis, our fulfillment process and experience allows our customers to spend more time in growing their business. We provide logistics services to our customers but we also participate in our customer’s customized global logistics management systems in where they visualize their whole supply chain. We process orders based on our different customer’s requirements. From routing thru different retailers portal to schedule directly with carriers pick-up of the goods within the time frame required. We pick and pack orders in compliance with customer / buyer request. Standard or customized packaging options available. We can arrange pick-ups & deliveries using our dedicated inland carriers anywhere in the U.S. for delivery in or out our facility. We will make sure your product meet the required standards of your customer. This value-added service will provide our customer a peace of mind before the product is shipped to its final destination. Our customers enjoy the peace of mind of having their valuable cargo stored in our secured facility. Our competitive rates are provided based on our customer’s needs. MANY thanks for the focus and effort you all extended this past week to ensure the successful execution of the last minute build orders for Target. It is partnerships like this that allowed us to confidently take this leaps to get freight out the door with literally no time to spare. You staffed, managed the needed space, created the process flow and showed creative flexibility to pull this off. “I am writing this letter to recommend the services of MC Int’l Freight Forwarders INC to you. In Sept. 2017 our customer’s shipment was on a critical path after the hurricane hit the area. MC Int’l Freight Forwarders INC offered high quality, on-time and organized warehousing services for the project. We are satisfied by their work. After the hurricane hit the state, our customer’s shipments cannot be delivered to the final destination since their business was disrupted. I was in a desperate mode to find the trusted partner to handle this special demand. I searched the Internet and found and called a few. None of them would take on this project. “My experience with MC International started during April of this year. My business required the assistance of both transporting product from one facility to another; and, cross docking/storage of incoming products. We had worked with other transport and had not received the level of service and consistency that we needed to become successful. That changed overnight when we began working with MC International. From the top of the house down, every single person across the business worked with me not only as a customer, but as a partner. A great team, everyone displays a level of professionalism, timely communication, and proactive problem solving that I have never found in any other similar company. “It is with much enthusiasm that I am writing to recommend the services of MC Int’l. We have been using M.C. Int’l for warehousing services for the past ten years, and have always been completely satisfied with their performance. I am writing this letter to recommend the services of MC Int’I to you. During the past 5 years our company has been working with this company. The company offers high quality services. We can say that we have always been satisfied by their work. Services that they do for us are handling merchandise that arrives from overseas, manage warehousing, storage and order processing. I would like to ask you to consider MC Int’I for any of the above services that they do for us as can’t be any happier with their services. “It is with much enthusiasm that I am writing to recommend the services of the MC Int’l. Deliver your cargo to our facility or we can arrange the pick-up and delivery for you. We will unload and provide a complete report of the cargo received in order for you to compare it with what you were expecting. Your cargo will be safely stored using FIFO method in our 24/7 secured facility. Visibility to inventory is always available to our customers. 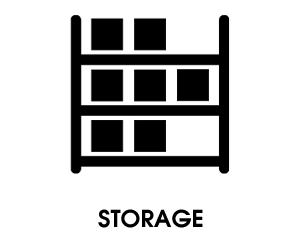 Short and long term storage service available. Time to ship your sold product! We will process and prepare your orders for shipment under the buyer’s specific guidelines, route your orders and schedule pick-up directly with carriers.